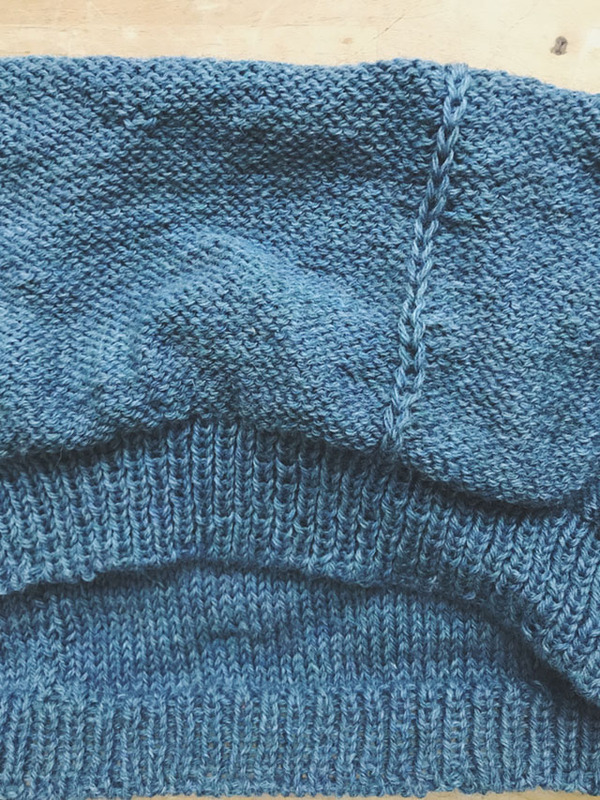 I have used the Commercial KAL on Stranded Podcast's Rav page to fuel my quest to re-make the sweaters of my youth. Basically, everything I am knitting is huge. I have wanted larger sweaters for a couple of years, but never seem to quite get my stuff to the right dimensions. 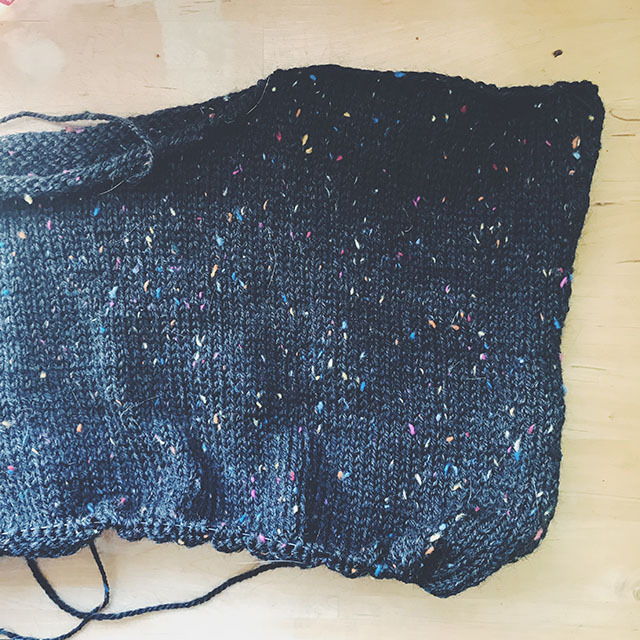 Years ago, everything I knit turned out too big, so maybe I have a sub-conscious hesitation about going larger. My Sunset Highway is somewhat there, but it only has one commercial yarn in it and it feels too fine for a grungy backpacking trip. This trip is the other reason I want more oversized garments. In Iceland, I will only have my pack and what is on my body. The sweater or two that I bring must be light, but warm. Only, they can't be too warm because I will be moving around a lot. They also need to be roomy enough for under-layers, but not too bulky for a jacket over them. Suddenly I feel like the picky little girl that drove my mother crazy when shopping for new school clothes. The Edge was my first try for this fit with a commercial yarn in my stash, but it didn't turn out as big as I'd have liked, though I loved the fit. I also gave it to my daughter, so it's out. I decided to knit it again in a larger size with more Cascade Eco+. This one will be the perfect fit, I think, but with bulky yarn it wouldn't be great for under a jacket. So, it will have to wait until I am home. 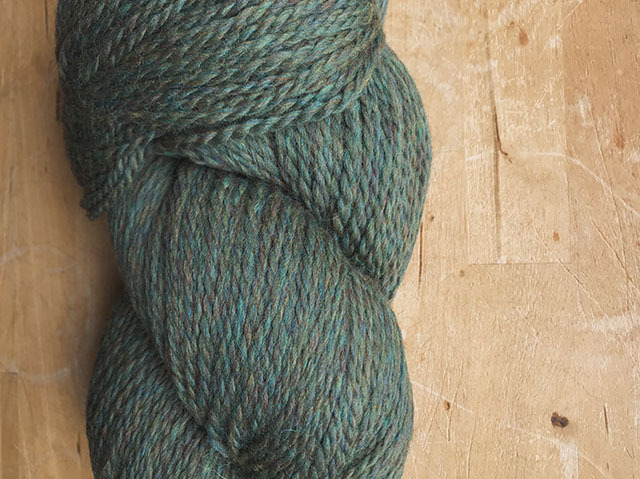 I am excited to use this Lichen colorway, though. All of the little flecks of gold and reddish brown get me. I have no problem using less expensive yarns like these. I have heard some of the more expensive yarns are also more hard-wearing. If that is true, I guess I am not in an environment where I am able to wear any wool enough to gauge it's hardiness. I am, however, in an environment where wools like Patons Classic and Cascade are readily available and easy on my (now shrinking) yarn budget. 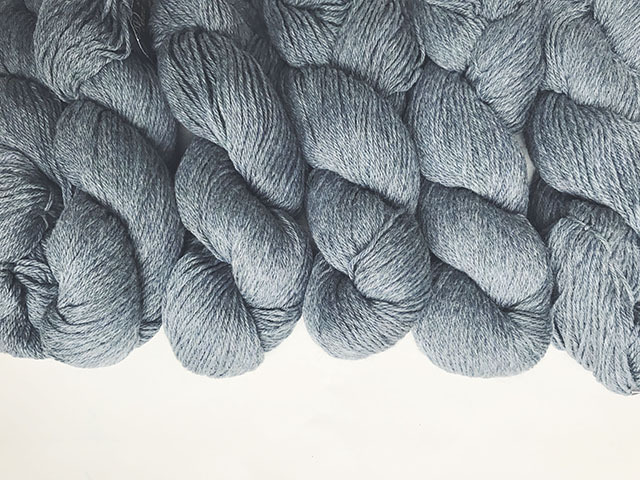 I do love hearing about how certain companies ensure ethical ranch/ mill/ dyeing processes. That's something I haven't looked into much with the "big three" of my cheaper wool resources. So, I can't speak to that here, at least not yet. My next attempt at the perfect, oversized sweater was The Weekender by Andrea Mowry. I knit it in the Cascade 220 stonewash colorway. It is finished and just needs ends woven in. I can tell it is definitely oversized, but wether or not it is my "perfect oversized" remains to be seen. Stay tuned... 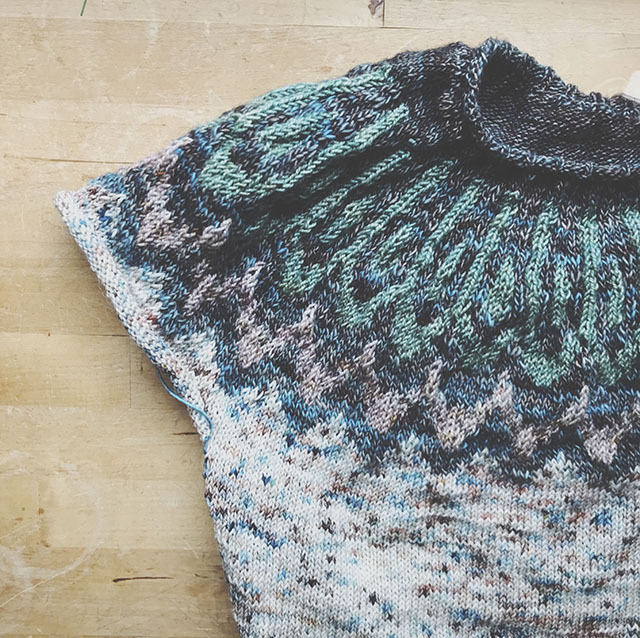 It was finished by the KAL end, but I never posted it in the thread because I was covered in sweat and dirt every day this week and didn't feel up to wearing a sweater. As I finished The Weekender, I cast on a Patons Classic Tweed colorway that I got it in a ridiculous Craftsy sale (Craftsy is my commercial yarn sale standby. I am avoiding their emails right now to avoid temptation.) after years of seeing it every time I went into craft stores. Since the rainbow flecks seemed to call for a simple design, I thought Joji Locatelli's The Bulky Easy One was perfect. It makes excellent movie theatre knitting. Even though it is dark yarn, after both sides are joined, it's just easy stockinette in the round that your fingers can manage in a darkened theatre. 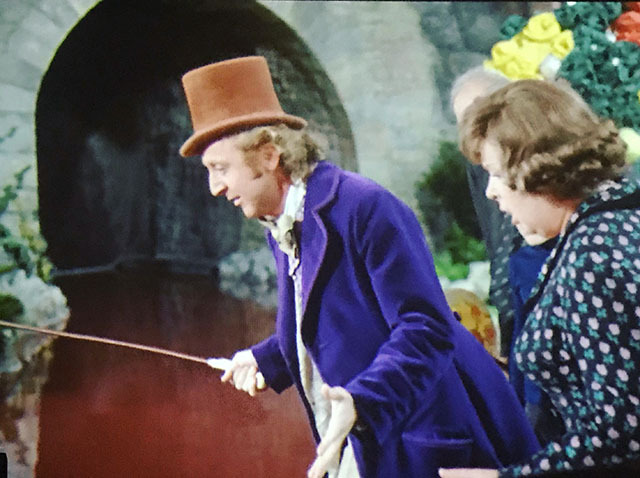 I was able to watch Charlie and the Chocolate Factory all the way through for the first time ever at the classic theatre while knitting this, without a hitch. 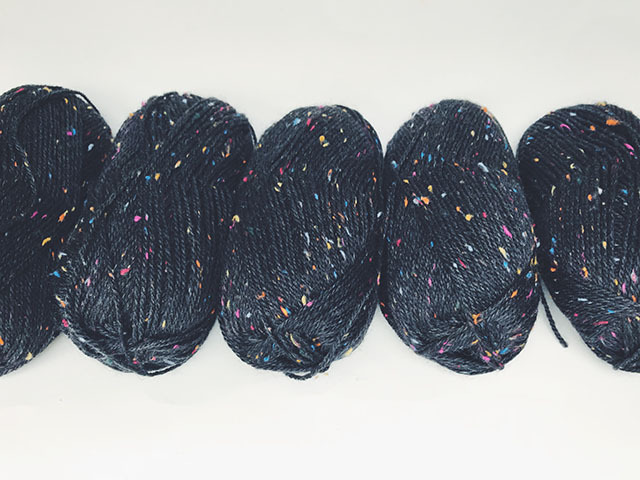 The Bulky Easy One is meant, as you may have guessed, for a bulky yarn. My Patons is worsted, so I am going to do that thing I have seen done a million times on Ravelry and knit a really big size with smaller yarn, in the hopes of hitting the perfect size- a 3XL to approximate a medium, actually. In my quest for ever-larger sweaters, I have been thinking I probably should have aimed for a size large instead. Oh well, I have another oversized project on the needles that may achieve just that. My last "big" attempt is Birch by Pam Allen. Her Plain and Simple book is on my mind a lot lately. Everything in it looks like something I would love to make and use, daily. Since I tend to knit one thing from a book, then skip to another pattern book, we will see. I have got a second one lined up from this, though. Birch wasn't be ready for the end of the Commercial KAL either, but that wasn't really my point of joining. I wanted the motivation to use older stash. 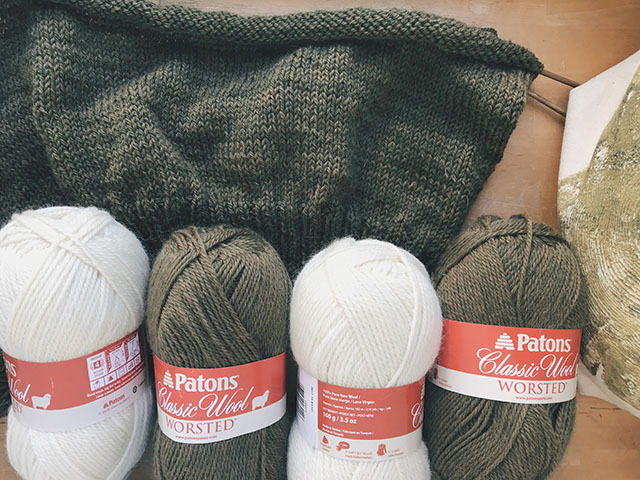 I actually had a few inches knit when I realized that my older skein of Patons Classic in Moss Heather was a little darker than my newer ones. This is a bummer because I will need all of them to get this one big enough for my liking. I hate to say it, but I am alternating skeins of Patons, something I never thought I would have to do. I've never seen a difference in lots before, but that older skein was from my Owls sweater, made in 2011. It is understandable. Other than the annoyance of having to alternate skeins, this begins as an easy, bottom-up, stockinette, in-the-round sweater. The two skeins at a time does make it better for knitting at home. I am excited to get to the colorwork yoke that I will be doing in the natural Aran colorway. So, I think I have roomy sweaters covered, guys. 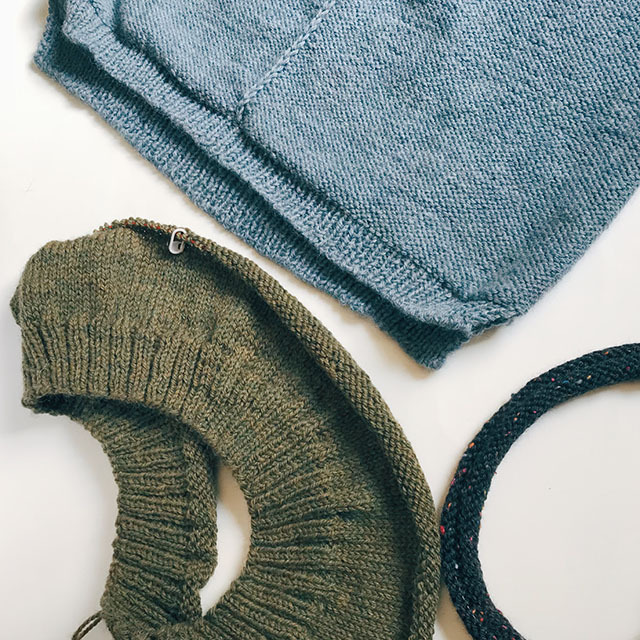 Are you still knitting oversized, cocoon-like sweaters, or have you swung back to more fitted styles- because I know that's going to happen and I will eventually want more of them? So far, oversized still seems to be having it's moment, like seamless and chunky once did. Even when that fashion moment passes, there will always be a place for oversized stuff in my wardrobe. I am semi-wedged in the past, which is why I loved the latest issue of KnitScene's 90's collection. Among other goodies, there is a thermal, an oversized stripe (like the ones I borrowed from my brother's closet through high school), cropped tops, and a very Delia-esque v-neck. The dream winter wardrobe of my awkward years is well within my grasp, friends.